Chapman Place: Plates as wall art? 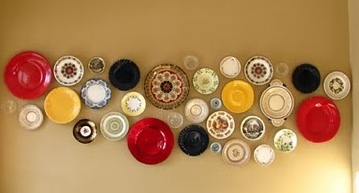 Hanging plates on a wall seems to be a new trend. I kinda like it. Find some ideas and tutorials HERE, HERE, HERE, and HERE.